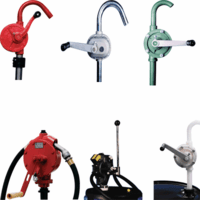 Bay Tec�s drum pumps are quality pumps that are designed to meet the needs of your drum and barrel liquid-dispensing activities. 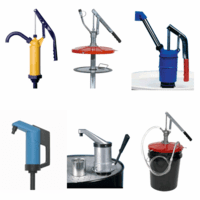 Each is divided in 4 categories below based on the type of stored goods and the mechanism of the manual hand pumps. From the simple Piston Drum Pumps to the more sophisticated Rotary Drum Pumps, choices are never short. 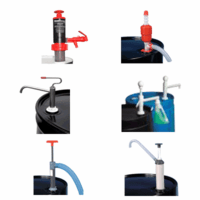 Choose one or more of our high quality manual pumps based on your need. 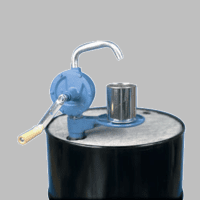 We have manual drum pumps made for drums/barrels and for buckets/pails. The materials that make the pumps vary too and should be chosen subject to the item you want to store. 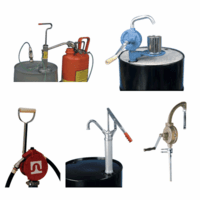 For storing potential hazardous material, check out Fuel and Hazardous Hand Drum Pump. For food and drink material, choose the one that is FDA-compliant. For the other types, choose based on the dispensing amount. Rotary drum pumps are able to store thicker material of liquid and dispense more with little effort, while push-pull and lever action pumps are more suitable for lightweight liquids.